We knew this was going to happen and we couldn't be happier. After Matt's first performance the overwhelming comment was when will he be back? ​Matt's tribute to Elvis is uncanny! and the United States. Matt has appeared in Las Vegas as a featured Elvis performer in All Shook Up: A Tribute to the King at Planet Hollywood. Matt has also received critical acclaim for his portrayal of a young Elvis Presley in the Tony-Award Winning play, Million Dollar Quartet currently playing across Canada. The Toronto-born performer has a love of Elvis and strives to keep his memory alive. Matt has channelled the King in sold-out theatres, festival headlining shows, musical plays, television and more. 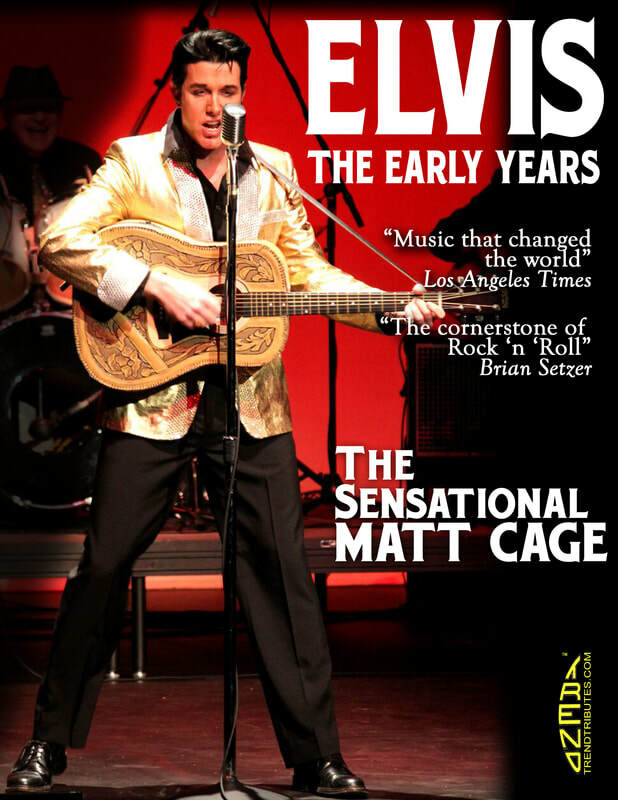 This is one Elvis Tribute Artist you don't want to miss!